The team here at Brides of Oklahoma is always looking for new ways to connect you with Oklahoma’s premier wedding vendors and provide you with tons of wedding inspiration. We recently joined Instagram, and needless to say, we are hooked! Members of our team are constantly traveling around the state for photo shoots, meeting with Oklahoma’s finest wedding vendors and making sure to deliver the scoop on all things Oklahoma weddings! Instagram is the perfect way for you to follow along as we chronicle some of our daily activities! This month we had so much fun working with some of Oklahoma’s top wedding pros! Malorie Avaline and Ashlee Bivins (top left), B.C. Clark Jewelers (top center), BeLoved Bridal Boutique (center left), Eventures (center right), Tara Lokey (bottom left) and Hydrangea Floral (bottom center). 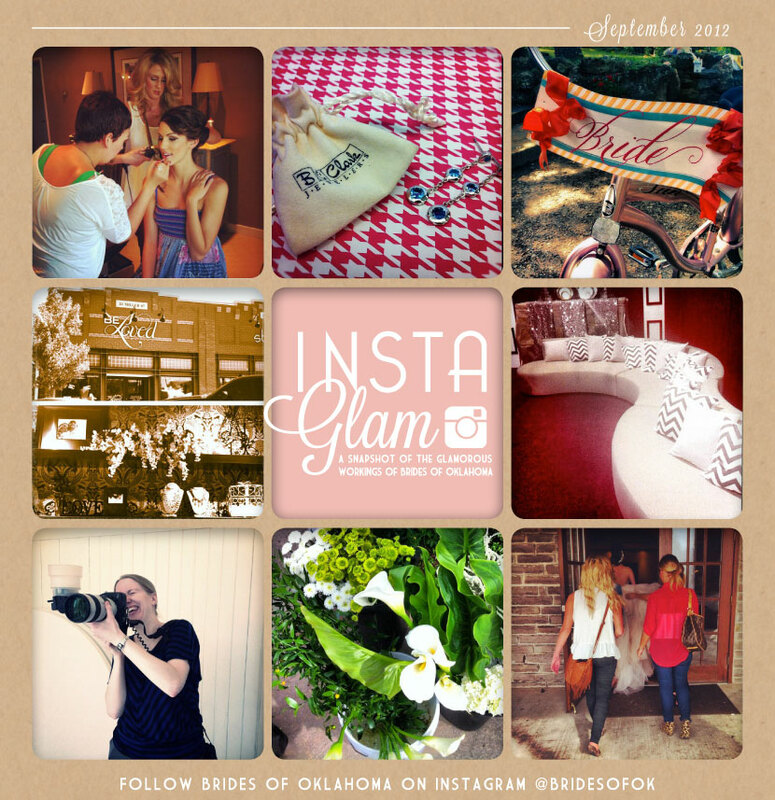 Follow us @bridesofok to see more of the happenings at Brides of Oklahoma!